Loveably pudgy Po teams up with his dad in the latest kung fu extravaganza. Throughout the hilarious Kung Fu Panda series, we’ve watched the endearingly tubby Po (Jack Black) both discover kung fu and fight to protect its legacy. In Kung Fu Panda 3, Po’s journey is more personal than ever as his long-lost father Li (Bryan Cranston) re-enters his life. Together, they travel to a secret panda sanctuary where Po is faced with potential new love interest called Mei Mei (Kate Hudson). But when an evil spirit named Kai (J.K. Simmons) starts defeating China’s martial arts masters in order to steal their souls, it’s time for Po to finally accept his destiny and become a kung fu master. There’s only one thing to do: train his panda brethren to become mighty warriors! 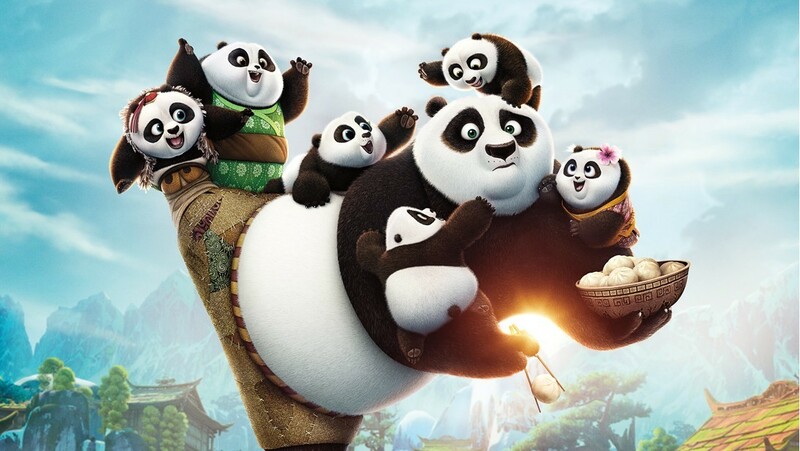 With megastar Jack Black again on brilliant form as the wisecracking Po, this could the funniest, most emotional and action-packed Kung Fu Panda movie yet. With superb animation to equal Po’s Legendary adventures of awesomeness in eye-popping 3D, and with a top notch voice cast, this is a humorous, quality and thought-provoking treat for all ages.